What could possibly be better than indulging in chocolates, gifting cute DIY boxes to your girlfriends, and dressing up in heart-themed sweaters? Answer: those things PLUS treating yourself to a fun and glam manicure. Clearly, you deserve it. You made it through what felt like the longest January in history, and have survived this whole Polar Vortex situation. Now it’s time to give those nails some love. By now, you may have noticed that I have a serious obsession with Valentine’s Day. It might honestly be my second favorite holiday ever (behind Christmas, obviously). So this weekend, in anticipation for the holiday and New York Fashion Week, I am heading to the nail salon for a fun, love-inspired design. I wanted my nails to “pop” without going overboard, so naturally I did a ton of research to narrow it down to my favorites. I’ll be honest, typically Valentine’s Day themed nail art can be off-putting in my opinion; especially if the Swarovski crystals on your nails are weighing down your whole hand. I mean, that seems excessive, right? 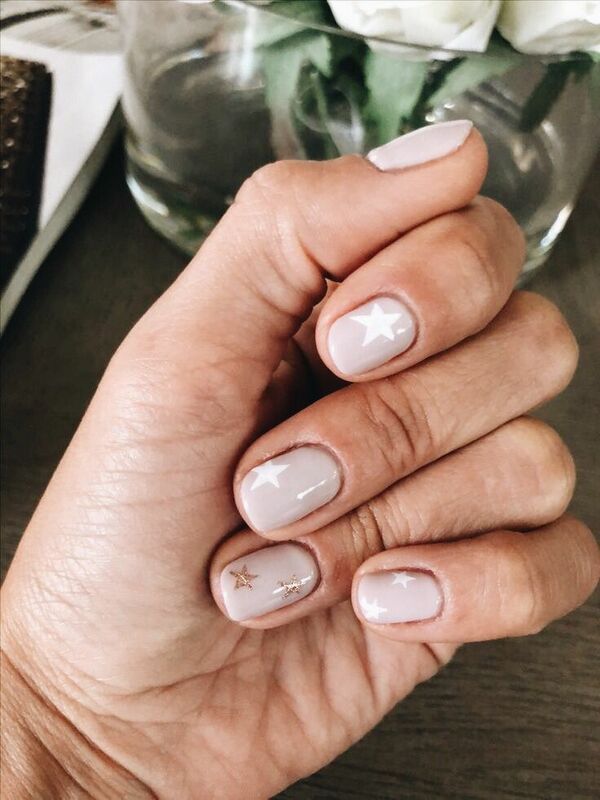 Not to worry though, there are a ton of cute nail art designs that can help you feel inspired without second guessing whether you’re back in middle school. Want more beauty inspiration? Read The 5 Skincare Rules I’m Living by this Year and My Everyday Makeup Routine. Do you get a special manicure for Valentine’s Day? Comment on the last photo on my Instagram feed and tell me, or tag me in your favorite nail art selfie!